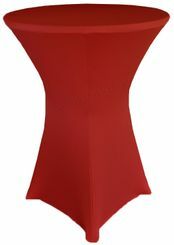 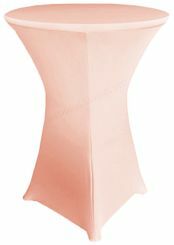 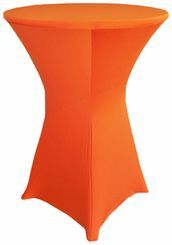 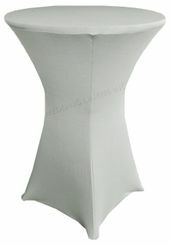 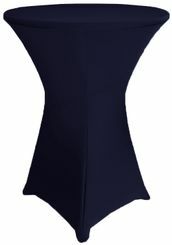 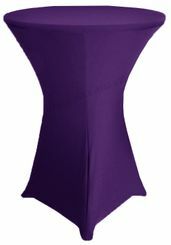 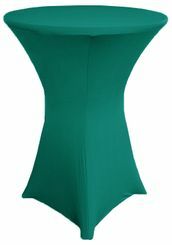 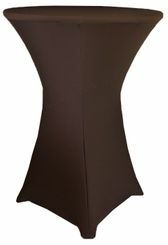 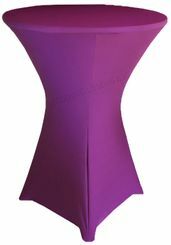 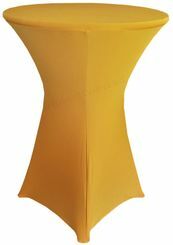 Spandex Cocktail table Covers, Cocktail TableclothsFree Shipping over $150 - US 48 Contiguous States! $9.98 Flat Rate Under $150 - US 48 Contiguous States! 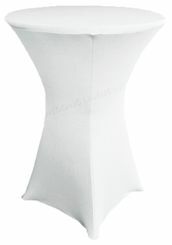 Wholesale 36” spandex cocktail table covers, 36 inch Spandex highboy cocktail tablecloths, cocktail elastic table covers, Cocktail lycra table cover, stretch cocktail table covers. 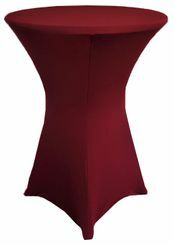 Our highboy cocktail spandex table cloths covers are made from a high quality four-way stretch spandex. 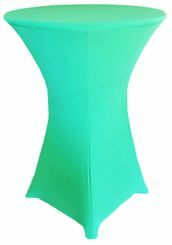 Cocktail spandex table covers designed to fit 36”X42” cocktail tables. 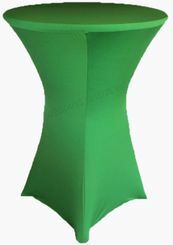 Cocktail spandex table covers are perfect use for wedding, events, banquets, hospitality industry and conventions.